Optus’ ‘IOU’ plan feature is unique in Australia. Phone costs haven’t really decreased a lot over the years, even though they have gone through some revolutionary changes from just paying for the simple domestic and international call, to texting and calling and now calling, texting and data. In fact, doing a relative a favour by offering phone credit as a present would certainly be welcomed without a doubt. The telcos have zeroed in on the insatiable desire you have to stay in contact socially with friends and family. Just to help you along a bit Optus, at least, is providing what is called Me2U. This is a useful feature allowing you to share the credit you have with other customers who are using a prepaid plan. You can organise a regular credit transfer on a certain date. 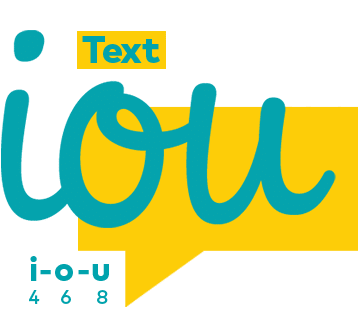 IOU is a nice concession offered by Optus and to a lesser extent by Telstra allowing customers on prepaid mobile deals whose credit had expired access to emergency credit. What is Me2U and who is eligible? Me2U allows an Optus postpaid or prepaid customer to transfer credit to a prepaid customer’s account only. Me2U can be used by Optus postpaid and prepaid services, but not Coles Prepaid SIM plans, My Prepaid Daily Plus, My Prepaid Daily, Dollar Day, My Prepaid Ultra, My Prepaid Long Expiry, My Prepaid Ultimate, Connect 4 Less. Your service should be active for no less than 35 days before credit sharing can take place. Your prepaid service must have enough My Credit. You can activate this service by arranging a credit transfer between the customer accounts, either online or by using a text message through your phone. Under Useful Links on the right hand-side click on the link Me2U Credit Transfer and this will direct you to a new page. On this page select where the credit is to be transferred followed by the mobile number you intend to transfer the credit to and the exact dollars. You accept the terms and conditions and then click the transfer button. Your Me2U transfer directions are now complete. Use the Optus SMS Menu or text #me2u to 9999. Lowercase letters have to be used. You will quickly receive a return text which will be asking for your password for Optus Zoo. If you are not part of the Optus Zoo kinship group you can join. To confirm the transaction put yes in the 3rd text message, then reply to the third text message with a “yes”. The amount to be transferred will be deducted from either your credit balance or if the transaction is from a postpaid service you are signed up to it will be put onto your next bill. How long will it take/does it last? A Me2U transfer may take up to 60 minutes to complete the process. A Me2U transaction cannot be reversed once applied. What is an IOU & how long does it last? IOU is an Optus service which lets any Prepaid Mobile customer who has run out of credit ask for some emergency credit. It is currently available to any Optus Prepaid Mobile customer who has recharged at least $10 or more in the previous six months but you will only be given one IOU credit for every recharge event. Who is eligible for an IOU? If your Optus deal is My Prepaid Daily you become eligible for an IOU once your MyCredit balance has fallen below $1. If your Optus deal is My Prepaid Daily Plus, you become eligible for an IOU as soon as your MyCredit balance has dropped below $2. If your deal is a My Prepaid Long Expiry, you become eligible for an IOU once your MyCredit balance has dropped below 20 cents. You are required to have a no MyTalk Add On balance. You may only have access to an IOU on a My Prepaid Ultra if you are completely out of credit that is for data, standard national calls and SMS/MMS or if your credit has reached its expiry date. You are not eligible for an IOU on a Coles Prepaid SIM plan. How long does IOU credit last? On the ‘My Prepaid’ plans, the credit validity lasts no more than 2 days expiring at midnight on the second day. On every other plan, the Optus IOU credit will expire at midnight on the third day. How to get an IOU? Accessing an IOU is quite easy, by simply texting IOU to 468. We’ll spot you with $2 credit which you may use for no more than 2 days. When you do recharge, $2 will be taken away from your balance. On these plans you can get access to an IOU for 10MB of data, 10 minutes of standard national calls and 10 standard national SMS/MMS. These must be used in Australia, for 2 days. If you have $2 of Extra Credit, Optus will straightaway take away $2 from your Extras Credit and give you an IOU credit on the spot. If you do not have sufficient in Extras Credit, Optus will take away 10 minutes & 10MB data from the next $20 or $10 recharge or $2 Extras Credit from the next recharge of $30 or more. Get a $3 IOU credit and some more time before you have to recharge. When you have recharged with at least $5, Optus will take away $3 from your balance. Input m.telstra.com into your browser. You can access CreditMe2U® on your phone by inputting #100#, then followed by Send/call on your handset and follow the prompts as they appear. Input the number of the mobile you wish to transfer the credit to. Confirm what you have requested. This transfer may not be cancelled so check the amount and mobile number carefully. You will be notified notify once the transfer had been completed. Each transfer attracts a 25c charge. Cap credit can’t be transferred using CreditMe2U®. If you use CreditMe2U on a post-paid plan, you are able to make a credit transfer on a one-off basis or organise a transfer on a more regular basis using a pre-paid Telstra account. If you have anything credited to you, this will then be charged to your post-paid bill. The access charge, which is a monthly feature, will also be added. Each successful transfer of credit costs 25 cents. CreditMe2U cannot be used to transfer cap credit. This is how it works. Access http://m.bigpond.com on the internet. CreditMe2U can also be accessed by using your mobile. Just press #100# and send or call and then follow the prompts. Select the mobile account option and then follow the prompts. Transfers that recur should be set up 24 hours beforehand and are PIN activated. A combination of scheduled and one-off transfers has a maximum of $400/ month. It’s important that you get the amount of cash you want to transfer and the mobile number you want to transfer to correct as it will be impossible to change the transfers once they have been initiated. The number of transfers you make won’t have any effect on the plan you already have.